Home Chennai Where art thou? Just when people in Tamil Nadu will be raising a toast to their superstar Rajnikant on his birthday on December 12, people in neighbouring Kerala will be witnessing the return of a star from the art worlda��the Kochi-Muziris Biennale. If the last Biennale attracted four lakh people, the new edition is confident of bringing in more visitors by breaking new ground under the curatorial guidance of an a�?outsidera�� whose roots lie in Kerala. A man whose works have been featured in many triennales and biennales around the world, Jitish Kallat believes Kochi is the perfect place to host a biennale. Why? He says, a�?Art can be a productive tool to think about the world. I feel the local audiences bring fresh eyes to contemporary art. Unlike so many other places, citizens in Kochi are engaged in cultural, social and political processes which more than compensate for their lack of exposure to contemporary art.a�? True to what Kallat says, Kochi is keeping its ear to the ground. Artists are moving into their allotted venues and consignments of art materials are coming in at regular intervals. 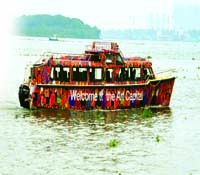 Homestays and restaurants are being given a facelift, and KTDC boats a makeover. Dona��t be mistaken by the ordinariness enveloping the Biennale venues: ita��s not an organise-overnight-art-feast. In fact, a lot has happened over the past two years. 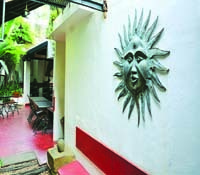 Soon after the first edition, the Biennale Foundation hosted an art residency for artists at Pepper House. The residency was all about helping them give shape to their art and their installations. Meanwhile, the organisers are more judicious with spending and more focussed on targeted outreacha��stitching up the loose ends of the first edition. a�?We faced a lot of challenges in the first Biennale. At first, there was public ignorance and then unfounded protests by left radicals and religious fundamentalists. Some even dubbed the last Biennale a a�?Vatican agendaa��,a�? 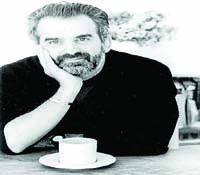 recalls Bonny Thomas, research coordinator of the Biennale and one of the founder members of the Biennale Foundation. a�?Things became worse with accusations of money swindling at the Biennale. A vigilance enquiry was ordered and later withdrawn after we got a clean chit. But our problems didna��t end there. We grappled with serious logistics and expenditure issues. This time, we are wiser and more prepared,a�? he adds. People have started to warm up to the idea of the Biennale, thanks to outreach initiatives, art programmes and seminars, and the promise of a cosmopolitan art hub in the making. Last Wednesday, the Biennale Foundationa��s a�?Art and Medicinea�?, an innovative therapeutical initiative at Ernakulam General Hospital, entered its 40th edition. a�?The UDF government, which initially questioned the intentions of the Biennale in its first edition, has now sensed the goodwill behind this initiative. Following this, it has earmarked ` 2 crore for the Biennale in its budget, something unheard of in India,a�? explains Thomas. Congress leader Shashi Tharoor, who has extended his support to the Biennale, says, a�?The Kochi-Muziris Biennale is the only Biennale in India and showcases modern Indian art in a manner that will attract international attention.A� This is why I believe it deserves the support of all of us who wish to see Indian culture promoted on the global map.a�? 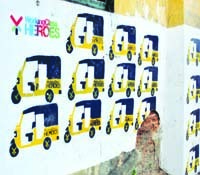 Tharoora��s support comes in the backdrop of a crowdfunding campaign launched to mobilise funds for this Biennale. This edition will feature a Childrena��s Biennale and a photo exhibition of 40 works by Edmund Thomas Clint, an art prodigy who passed away at the age of six. In addition, there will be a Studentsa�� Biennale, with works overseen by 15 curators hand-picked by Kallat. There will also be an Artist Film Festival, chaired by five curators, including Bina Paul. The works of Unnikrishnan C U, the youngest artist to rub shoulders with the masters of contemporary art, will be displayed at one of the main venues. And talking of masters, artist Namboothiria��s works will trace the footsteps of famous travellers who visited Kochi. Among others, famous Indian artists like Akbar Padamsee and Anish Kapur will share space with contemporary artists from abroad. The selection of eight historical venues is a shout-out to Kochia��s cultural heritage. 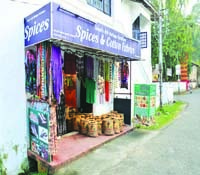 a�?Kochi marks an interesting mix of factors with its archaeological past and its two-millennia-long Indian Ocean cosmopolitanism. So the Biennale can activate several levels of meaning and that will always remain its USP. The first edition was very coherently planned, as is the present onea��with a key constellation of art works in the main venues and a range of outreach programmes arranged around it, to engage with students, younger people and the local audience. A Biennale can surprise you with every edition and I am sure I will be surprised when I visit Kochi this time,a�? says Mumbai-based poet, art critic and independent curator Ranjit Hoskote. But not everyone is happy with the arrangements. Acclaimed painter Yusuf Arakkal says, a�?The Biennale is a good idea but what ita��s lacking is a centre. Currently, it is too spread outa��across cafes, halls, and the likea��because of which focus on major works is lost. Going forward, they should look at finding an areaa��either with government or private helpa��and converting that into an exhibition centre, much like Sao Pauloa��s Parque Ibirapuera or Florencea��s Fortezza da Basso. Once you have a central space, then you can spread out.a�? Kochia��s distinctive history is inseparable from the art it has come to define. Noted Malayalam novelist and history enthusiast N S Madhavan says, a�?For me, Muziris is an evocative metaphor. Ancient maps show sea routes touching India at two places, off the Gujarat coast and Muziris. Just as Kozhikode and Kochi were gateways to India by the sea in the 16th century, so was Muziris in olden times. I think Kochi and Muziris are best looked at as windows to the world at different points in time.a�? Vivan Sundarama��s installation at the last Biennale, shaped out of the remains from Muziris artifacts, underlines this historical connect. 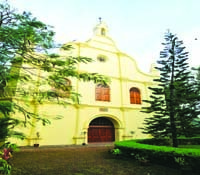 Muziris, a long-lost port situated 30 kms away from Kochi, was Keralaa��s first window to the world. Biennale aims to become the new Muziris of art. a�?I think in terms of content, curation and importance, Kochi is already on the global map. What it needs is long-term funding and a plan to make it sustainable. Clearly, government funding cannot be counted upon and the organisers need to think this through,a�? says Sree Banerjee Goswami, director of Project 88. A not-for-profit that runs on donations, the Biennale is counting on a good response from the crowdfunding campaign. There is also a sponsor-a-day initiative with the amount set at Rs.2.5 lakh. The Biennale (which, incidentally, spends the most on transportation of art material) may have to contend with serious problems if it fails to generate the funds required to sustain the show. Sundarama��s donation of Rs.40 lakh has come as a shot in the arm. But now, much depends on the likelihood of such gestures in the immediate future. 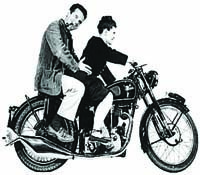 The iconic late American couple, Charles and Ray Eames, redefined modern architecture and furniture designs. They also dabbled in animation. The duoa��s video productions will be featured in this edition of the Biennale. American poet Aram Saroyan believes in minimalism. His four-legged m is the worlda��s shortest poem. His one-word poem, lighght, is a take on the expansion of light into the final illumination. Art lovers will get a peek into this inventive geniusa�� mind. 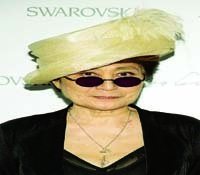 Winner of the Golden Lion Award for lifetime achievement at the Venice Biennale in 2009, Yoko Ono has moved out of John Lennona��s shadow. Though her presence at the Bienalle is uncertain, her works will impress. 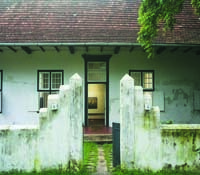 Art Residency programme participantThe Kochi Biennale is unique. Unlike other biennales, both the people and the artists are closely involved in this art extravaganza. I see it as a Biennale that belongs to the people. I have invited my friends from North India and Australia to Fort Kochi for a first-hand feel of the event. Art and cinema often work in tandem. We touched base with two popular directors for their take on the Biennale. a�?The first edition was also my first exposure to a biennale. The works on display changed the way I looked at things, especially the installation of Subhodh Guptaa��featuring a traditional boat. I took a cue from the artwork and used it as a frame of reference for the movie Pullipuliyum Attinkuttiyum,a�? says Lal Jose, the name behind hits like Oru Maravathoor Kanavu and Meesha Madhavan. For Ashiq Abu, the inspiration took a culinary turn. 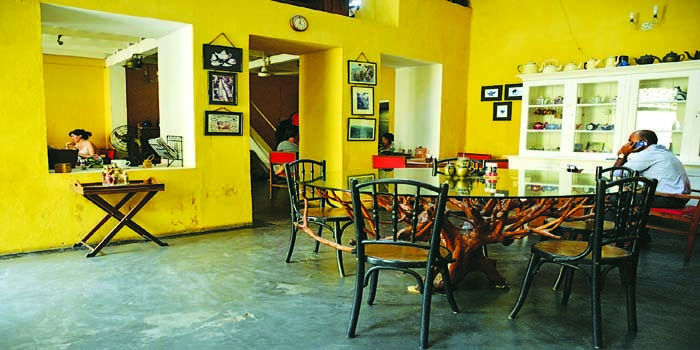 The Biennale sowed the seeds for his coffee joint venture, Cafe Papaya. a�?Cafe Papaya is a symbol of Biennale’s influence,a�? says the young director.